On 4 April 2019 nearly 300 experts from the Government of Indonesia, academia, professional associations, civil society and development agencies gathered in Jakarta for the dissemination of the Health Sector Review (HSR) 2018 report. In the presence of these key stakeholders, Dr. Ir. Subandi M.Sc., Deputy of Human Development, Society and Culture, at the Indonesia Ministry of Planning [Bappenas] launched the HSR 2018 report. UNICEF Indonesia’s Country Representative, Ms Debora Comini, made opening remarks on behalf of the development partners. The HSR reviews progress in the health sector and makes recommendations regarding policies and programs for the coming five years and beyond. UNICEF hosted the secretariat for the review and led inputs from development partners. The consultation process spanned 18 months – engaging 12 line ministries, 80 government institutions, professional organizations, academics, experts and resource persons. Under the Government of Indonesia’s stewardship, the HSR will help facilitate the country’s continued leadership towards Universal Health Coverage and the Sustainable Development Goal agenda. A 7.4 magnitude earthquake in Indonesia’s Central Sulawesi on 28 September unleashed a tsunami. In the ensuing chaos, parents desperately held onto their children but many were separated while trying to outrun three successive waves. In the days after the disaster, grieving families stuck posters on shop windows and lamp posts, pleading passers-by for any information of their missing children. Once electricity and telecommunication services were back on, many posted their plight on social media channels. “It’s a huge challenge to get a comprehensive picture of how many children are missing. 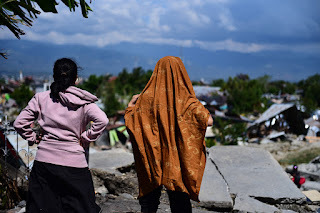 There are more requests to reunite children and parents than information on children found,” said Febraldi, the team leader from the Ministry of Social Affairs deployed from Jakarta to coordinate protection efforts. Febraldi, team leader from the Ministry of Social Affairs (left) and I Made Sukawancita, UNICEF Technology for Development Officer, in front of the joint secretariat and child center in Palu. UNICEF is supporting the Government of Indonesia to set up 12 posts in the affected areas for people to seek and offer information on missing children. These locations are also being used as safe spaces for children to play. After distributing 2,700 posters, and publishing social media posts with their hotline numbers, the team received 117 tracing requests. But every hour and every day counts when a child is separated from their parent. Enter an innovative tool that speeds up family tracing and reunification. It’s called Primero, an open source software platform that helps social workers manage protection-related data. What are the advantages of using this platform? “It’s faster, more convenient and mobile. It has a wider reach. It’s quite simple and we can tap information from Palu and other areas,” said I Made Suwancita, UNICEF Indonesia’s Technology for Development Officer. Fifty-six social workers from the Ministry and aid groups have been trained to enter data on Primero’s Indonesian-language web and mobile versions. They input the missing child’s name, gender, date of birth, address as well as the parents’ basic information, and a short chronology of how they were separated. The last time Indonesia experienced a major tsunami was on Boxing Day in 2004. At that time, social workers and aid groups grappled with a bigger caseload, but only had pen and paper to track all the data. Primero has been used in other countries during conflicts and in the aftermath of natural disasters since 2013. In Indonesia, it was originally designed for child-protection related data management in non-emergency contexts. Other UNICEF-initiated tech innovations in the country include U-report. Using Facebook Messenger, WhatsApp and Short Messaging Service, the platform was launched in 2014 for polling, empowering 85,000 young people to be heard by policy makers and providing them with access to reliable information. In 2015, UNICEF started to pilot RapidPro technology for health workers to use to collect, monitor and disseminate health information such as childhood immunization coverage, through text messaging. In Central Sulawesi, Made himself has been inundated with requests from Government partners to adapt U-Report and RapidPro for use with social and health workers. It is now easier to track how many children attend the child centres every afternoon to play and receive psychosocial services. Field workers have also been trained to enter data for school safety assessment. Posts on social media using U-Report, communicating directly to the people in the affected areas and beyond, helped reunite seven children from their loved ones. As for Primero, 28 children (16 boys; 12 girls) have so far been reunified with family and supported with case management through the platform. These innovations, led by UNICEF, are proving to be time-saving and efficient tools that save and protect children. After successfully immunizing 9 million children against Measles and Rubella in Java last year, East Java Provincial Administration and UNICEF are involved in another massive immunization campaign in East Java. The provincial administration aims to immunize 11 million children from 1 to 19-year-old against diphtheria. The drive is called Outbreak Response Immunization (ORI) against Diphtheria. Last year, the province recorded an outbreak that killed more than 10 people, mostly children. This time the challenge gets greater. Not only the target population is getting larger, but the campaign requires the same child to be vaccinated three times throughout the year 2018. The first vaccination is sometime between February and March, the second is between June and July, the final one is ongoing: November to December. However, the forces behind the campaign is also getting bigger. Building up from the momentum of last year’s Measles and Rubella campaign’s success that gained full support of, among others, media company Jawa Pos Group, Indonesia’s largest Muslim organization Nahdlatul Ulama, the East Java Council of Ulemas, University of Airlangga, this time the immunization drive is more members to join the band: Entrepreneurs Organization of Indonesia East. The organization consists 13,000 young businesspeople who employ around 3.4 million workers. Getting more and more excited and determined, on Thursday, 15 November 2018, the Provincial Health Office of East Java, Airlangga University and UNICEF field office in Surabaya, called on everyone, including the mayors and heads of districts across the province to ensure the success of final round of Outbreak Response Immunization on Diphtheria. The first and second rounds had managed to vaccinate over 10,5 million children or 95% of the target. 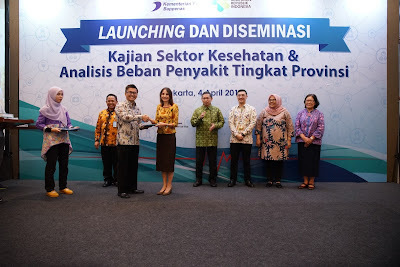 The commitment was made on Thursday and was also witnessed by a well-known economist and statistician from Technology Institute of Surabaya, Mr. Kresnayana Yahya. His presentation, based on health data he gathered in the last two years, convinced the business audience that investing in child health promise high returns. Airlangga University also appraised the Head of Trenggalek District Dr. Emil Dardak. The incoming vice governor, and his wife, a well-known artist Arumi Bachsin, played a vital role in ensuring the success of 2017 Measles and Rubella immunization. For his consistency in promoting child health Airlangga University call the vice governor elect as “Bupati Sahabat Anak”. Deputy Representative UNICEF to Indonesia, Robert Gass, handed the appreciation certificate to Dr. Emil witnessed by Head of PHO, Dr. Kohar Hari Santoso. 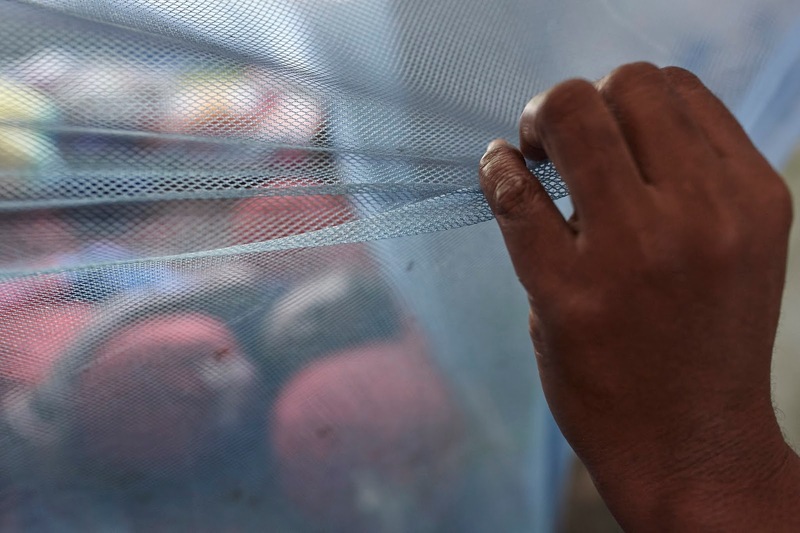 A girl in Kupang is sleeping behind a mosquito net. She’s HIV positive since birth. ©Shehzad Noorani/UNICEF/2018. I was still trying to recognize Ibu Teresia when, from across the street, a stocky woman with her hair neatly tied waved her hands toward me. We went to her house which was barely five minutes away from the corners of Jalan Alak in Kupang District. She asked me to keep my shoes on, as she was worried my socks would pick up the dust from the cement floor. She then ask permission to dressing up before doing the interview, she returned in a yellow shirt with ‘Citizens for AIDS’ on her left shoulder and she looks charming with the red lips. On her lap was Alinea (2). It hasn’t been a year since Ibu Teresia adopted the girl – who is HIV positive. Ibu Teresia, as if she could read my mind, she said, “Her mother died when I was working with patients at a hospital. Alinea infected by HIV since she was born." Ibu Teresia said that she fell in love with Alinea at the first time she saw her lying on the bed next to an HIV-positive woman who was fighting for her life. Ibu Teresia helped to changed the diaper of Alinea's mother, on that moment Alinea's mom asked Ibu Teresia to look after her little daughter. Few moment after Alinea lost her mom, Ibu Teresia and the family decided to adopting Alinea. At home, Ibu Teresia educates her children and husband about how to take care of Aliena – with love and compassion. Ibu Teresia has five children, she always remind them to let her now if there is physical injury happen to Alinea. Ibu Teresia has been working with 8 HIV positive people since 2014. Not only make sure her own household is taken care of, she also actively visits and sits with HIV patients to help them get their treatment at the hospital. “People with HIV need our support and especially the motivation from their own family.” said Ibu Teresia. You can tell by her stories, she always puts everyone else first. "Every story from Ibu Teresia shows how she always puts everyone else first." One of the HIV patients that Ibu Teresia assists is pregnant. This poses a health threat to the baby in her womb, as there is a real risk of mother-to-child transmission. This is also why all expecting mothers need to take HIV test during pregnancy. Today, the test has been made a part of routine pregnancy check-up throughout all healthcare facilities. “These babies are innocent. They know absolutely nothing of what happened to their mothers. I want to help preventing them from being infected,” said Ibu Teresia, after showing me some healthcare guidelines she always carries with her during home visits. In Kupang district today more than 1,000 people are HIV-positive (based on the data from healthcare facilities). UNICEF and the local government are working hand in hand to make sure that the healthcare system can reach all pregnant mothers and prevent more children from being infected – because no child should be born with preventable diseases. The prevention of mother-to-child transmission (PMTCT) program is expected to support by the work of AIDS volunteers like Ibu Teresia. As a volunteer, one of Ibu Teresia’s crucial role is to make sure every pregnant mother she assists regularly takes their treatment. “I really hope there will be no other babies born with the virus,” she said. ARV (Antiretroviral) drugs are prescribed to every pregnant mother with HIV to reduce the viral load as much as possible and therefore lower the mother-to-child transmission risk. However, regular blood and HIV tests are required for a child born from an HIV-positive mother – since birth up until the child is 18 years old – to make sure there is zero transmission. As I reflected on Ibu Teresia’s dedication to others, a childhood song came to mind which is “Kasih Ibu” Song. It tells about mother's love is infinity, everlasting and expecting nothing in return. More than being Alinea’s adoptive mother, Ibu Teresia is a light that will always brighten the path of Alinea, her five children as well as other kids in Kupang she intends to save. *All of the names in this article have been altered to respect the rights of children. PALU, Indonesia 28 October – A faint but a determined heartbeat has returned to the provincial capital city of Palu in Indonesia’s Central Sulawesi. A month after a powerful 7.4 magnitude earthquake and tsunami devastated this once palm-fringed bayside area, 11-year-old girl Sophia Angelica Majid woke up from her slumber on one sunny morning. Her room is now a tent, shared with nine other family members and neighbours. 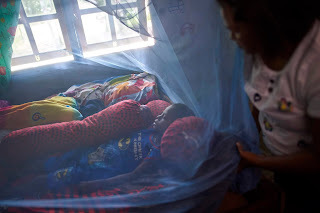 Her bed is a mattress, protected by a mosquito net. Her morning routine now includes showering or washing her face and hands with soap; brushing her teeth with water from a large container at the end of a field dotted with white and khaki green canvas temporary shelters. She no longer has a school bag, full of books. Her laptop, full of homework notes, computer games, and her favourite Disney movies Frozen and Moana, is nowhere to be found. With only one exercise book and a pen, she started to get ready for her school day. Her mother Evni Majid bid her goodbye as she busied herself filling in a city form to record that she, her husband, Sophia and her two brothers were safe. Though it would be forever imprinted in her mind how they ran desperately to get away from the waves that engulfed large swathes of the shoreline. Sophia’s quick reaction made her grab two mobile phones. They became the family’s lifeline in the following chaotic days, trying to find food, drink and information on where the rest of the family sought refuge. On Sophia’s 30-minute-walk to school amidst the debris, cars and motorbikes rumbled in the streets as her hometown came back to life. Of the 202 students registered at Sophia’s school only 70 from all the six grades showed up that day. However, she and her friends sat down on the plastic-covered ground ready to learn the first lesson of the day. It's a long way from normal, but it's a start. UNICEF was the first UN agency to transport 94 metric tonnes of essential emergency supplies through an airbridge from a neighbouring island of Borneo. Sophie’s school was one of the first to receive the 450 school tents and 300 school-in-a-box that UNICEF has committed to deliver to over 1,400 affected schools, more than184,000 children and nearly 13,000 teachers. UNICEF also successfully advocated a standard-setting first as the Government procured another 150 tents using UNICEF specifications. The Head of the Education Office Irwan Lahece has issued a back to school appeal. All schools are to resume school from 8 to 11 AM in the morning, with an hour dedicated to psychosocial support – singing, playing games, talking in a group or one-on-one with the teachers about whatever is on their mind. But aftershocks are still a regular occurrence. Many parents fear that after surviving thus far, their lives may still be changed for the worse. Officials are still confirming the total number of children who have already regained access to education. They will also step up efforts to clear up broken furniture, mangled metal pieces, shards of glass from the school grounds. Another challenge for the coming months is to set up latrines and handwashing facilities in the school tents. The searing heat outside of the not-quite-yet noon sun signalled that classes were over. The tent was considerably cooler as the teachers raised the wall flaps to allow air to circulate inside the 72-meter square room. The children – including Sophia - lined up to receive a UNICEF white bag with exercise books, pens, rulers, an eraser, a sharpener and crayons. A bag full of hope to add to her sole school possession of one note book and one pen. “Education is for every child. There are hundreds and thousands of children affected by the earthquake and tsunami here. It’s time for them to go back to school and get a sense of normalcy in their lives,” said Yusra Tebe, UNICEF Emergency Education Specialist. He added that with the onset of a monsoon, in some areas their hardships may be compounded by more landslides. After school, Sophia and her older brother returned to her house stripped of its roof, wooden walls, doors. Only a cement foundation is now left behind, marking the four rooms of her house. She looks through the wreckage to try and find some of her belongings, including her school uniform, shoes or sandals without any luck. She manages to find a white frilly dress belonging to Tasha her friend and promises to tell her of the find. With the Government of Indonesia leading the response, UNICEF was ready to support in the critical hours and days after an emergency in Central Sulawesi. A six-month plan has been completed. UNICEF now stands ready to support the Government, partners and the community, as the emergency response moves into early recovery.